While Cappadocia, Turkey may be best known for its incredible cave homes, there are other wonders hiding in the historic region. 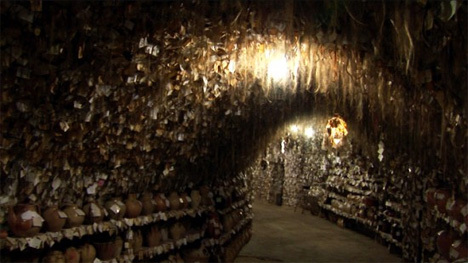 One of the quirkiest is the bizarre Avanos Hair Museum: a small cave containing hair samples, names and addresses from more than 16,000 women from all around the world. 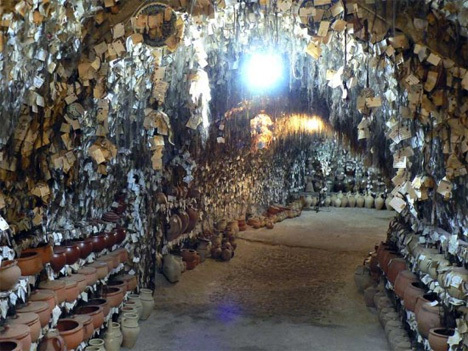 The hair museum was founded by Chez Galip, a talented potter in Avanos. 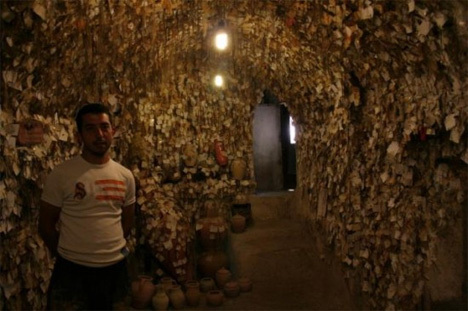 Although there are conflicting stories about where the idea came from, Galip’s own website states that the museum was simply meant as a promotion to increase enrollment in his pottery workshops. It seems much nicer to believe the legend: Galip’s friend was moving far away and left him a lock of hair to remind him of her, then subsequent visitors began leaving locks of hair to remind the potter of them as well. Since the first lock of hair went up in 1979, women of every description and from every corner of the world have willingly snipped off pieces of hair to leave in Galip’s cave. 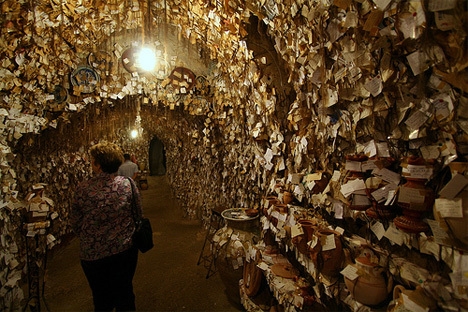 Each one carefully inscribes her name and address on a piece of paper before taping the hair and paper to the cave ceiling or wall. The surfaces of the cave are covered in dangling hairs of all colors and many different lengths. The purpose of the addresses is to give Galip a way to contact his former visitors. Once a year, ten of the hair samples are chosen at random. 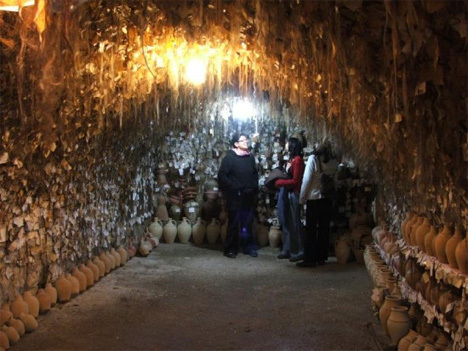 The women to whom they once belonged are invited to come back to Galip’s studio for a pottery workshop and a stay in his traditional guest house – all free of charge. Visitors to the cave are not required to leave a sample of hair, but Galip provides all of the materials necessary for those who wish to leave a little piece of themselves behind. What reportedly began as a promotional stunt has evolved into a weirdly compelling display – whether that display is of generosity, a great sense of humor or something else entirely is up to the viewer to decide.